With our Alarm! 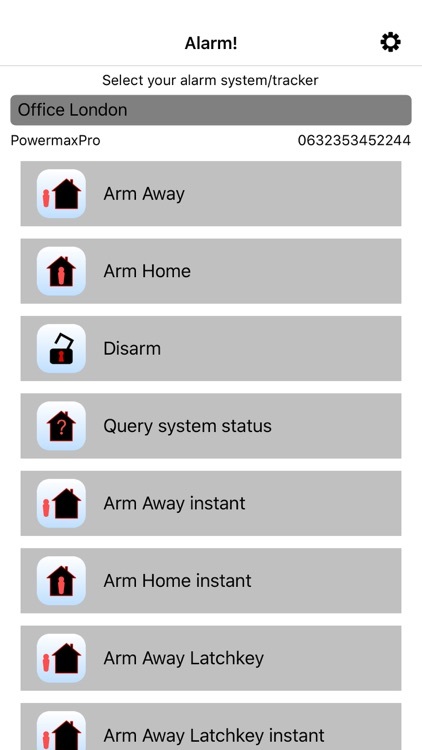 app it is possible to control many alarm systems via SMS or DTMF interface. and controlled via DTMF automatically. - Support for Incutex GPS tracker (TK-104, TK-102 V3, TK-102 V6, TK-103, TK-105, TK-106, TK-107, TK-201, TK-202). - You are able to config nearly all functions of these trackers. - Request of tracker position, interpretation of answer sms, position showed, direction and distance to tracker get showed on map and with compass view. 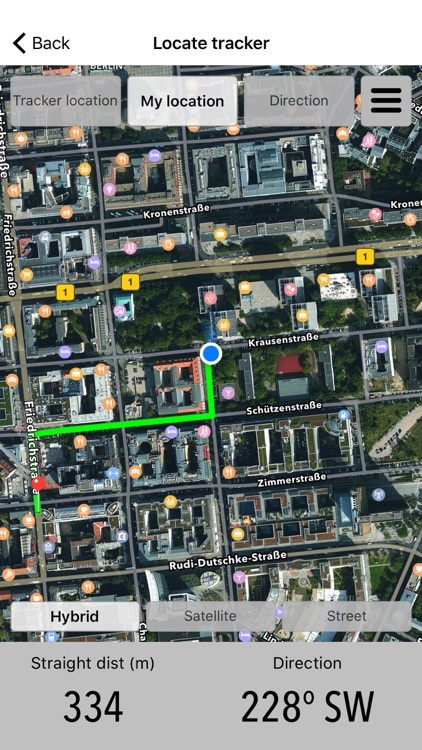 - You are able to calculate and show route to tracker. 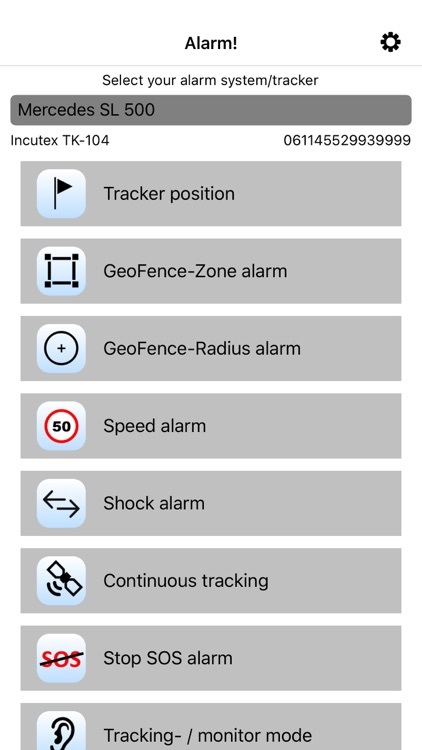 - Configuration of zone alarm (geo fence) directly on map. 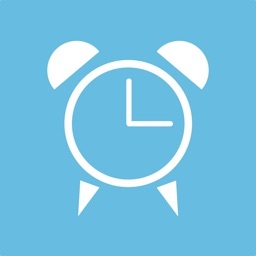 Maybe your alarm system / tracker isn't supported now, please send us a message to [email protected] and we'll try to extend the Alarm! app and support your system. -Alarm! generates alarm system / tracker control SMS and provides send ready SMS codes via the original SMS application on your smartphone. Alarm! does not send any SMS automatically. Many alarm systems / trackers can be controlled via a call and DTMF tones afterwards. Alarm! 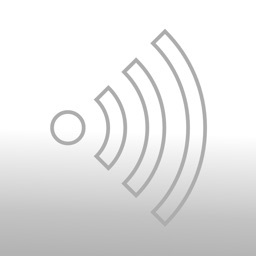 initiates the call, waits the needed time of seconds and sends the DTMF codes automatically. Please be aware of extra costs produced by calls and SMS messages. - PIN code and phone number are stored securely in iphone password store. - Access to the Alarm! app can be restricted with Touch ID (if supported by device and configured) and password. 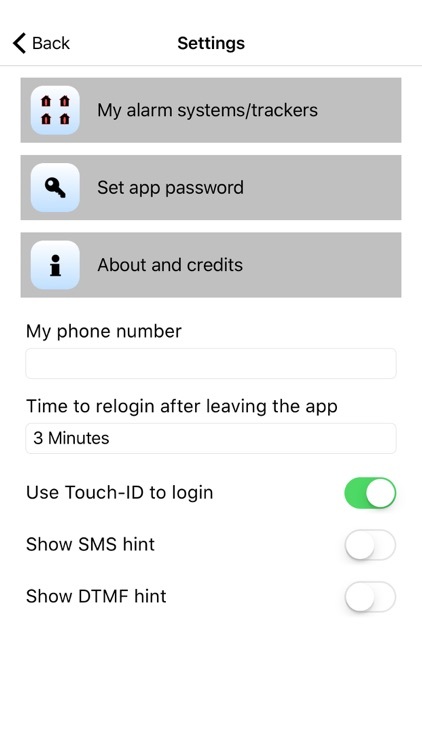 The Touch ID / password has to be entered at initial start of the app and after quitting and restarting the app (after a user definable period of time). 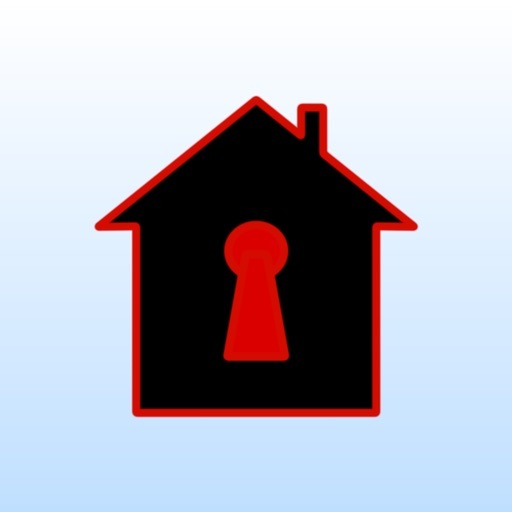 - Make sure that unauthorized person have no access to your smartphone the Alarm! app. - Seller and developers does not take any responsibilities for abuse. 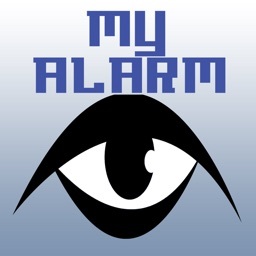 - The author of the app has no business relations to manufactures of the alarm systems / trackers. 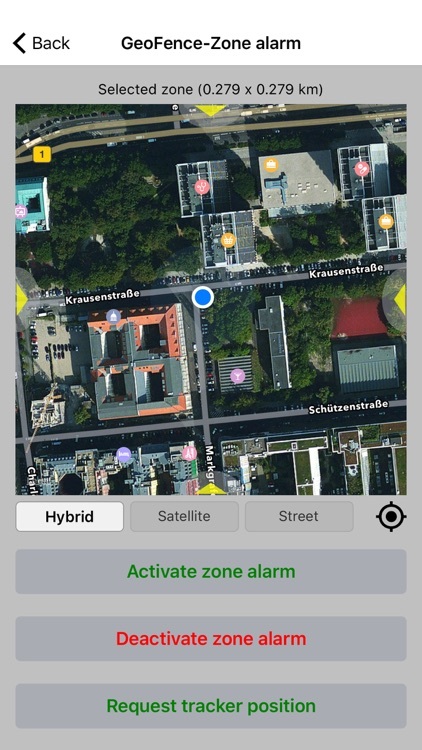 The app is based on the manuals of the alarm system and trackers. 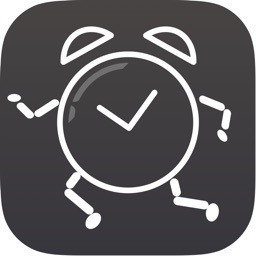 Firmware update, new versions of the alarm systems / trackers and incorrect or vague manuals can cause that the app does not work as expected. If you encounter any problems feel free to contact us, we will work hard to solve the problems. - For Visonic PowerMax alarm systems you have to select the language dependent SMS command set in settings. For some languages there are different command sets documented - if one command set does not work please select another one and try again. - Use it only on devices with phone and SMS capabilities. 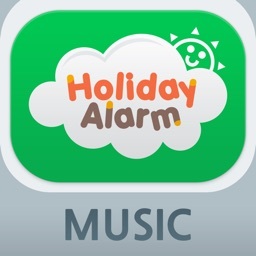 Please buy and use the Alarm! app only if you agree with all the points mentioned above.